Donna Bell has several years of experience in the title business. 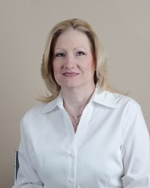 She begin working at Guaranty Title Company in 1988, and has worked in several aspects of the business, including abstracting, issuing policies/commitments, closings, customer service, accounting/escrow services and currently title examination. Donna is co-owner and President of the company. On a personal note, Donna and her husband, Larry Wayne (“Wayney”) have two daughters, Brandi, who is a Pediatric Nurse; and Stacey, who is a Registered Dental Hygienist. They are also proud grandparents of two granddaughters, Cailee Ann, who was born in July 2012 and Kinsey who was born in February 2015. Donna and Larry have deep family roots in Leon County that date as far back as the late 1800’s. Donna’s parents currently own property that was first patented to her great-great grandfather near Centerville. The land and people of this community are very important to them both. Theresa Roach is no newcomer to Leon County. She and her husband, Herbie are lifelong residents of Leon County. Theresa came to Guaranty Title Company with experience dealing with land appraisals. She worked for the Leon County Appraisal office for several years, joining Guaranty Title in 1995. Theresa is co-owner and Vice-President of the company. Theresa and her husband enjoy hitting the road on their Gold Wing. Having ridden from Texas to Canada, you can say they are seasoned riders. Theresa is involved with all aspects of the office, also, but her specialty is dealing with mortgage closings. Cindy joined the staff of Guaranty Title Company in November 2000, little did she know that one day she would follow in the footsteps of her father Tom Holmes, the founder of the company in 1973. Cindy has lived in Centerville most of her life. She did venture off to other cities and states to seek fame and fortune, but found her way back to Centerville where she now lives with her husband, Elbert, and a beautiful daughter named Emily Kay born in July 2005. Cindy has two wonderful step sons, a beautiful granddaughter named Cheyenne, and two grandsons, Jassie and Caden. 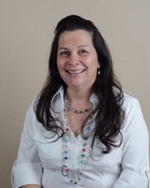 Cindy is a licensed Escrow Officer and conducts a great deal of the real estate closings for Guaranty Title Company. With her friendly nature and professional attitude she has become a definite asset to the closing department. She also coordinates files for funding and handles the curative work prior to funding. Cindy does all the Title Policies and helps with Commitments when needed. 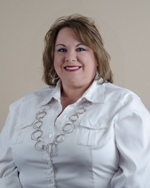 Melanie Trant joined Guaranty Title Company in August 2006, as an Abstractor. Her other duties also include copying and mailing commitments and handling the curative work needed prior to closing. Melanie is a native of Bryan, Texas, and was raised in the Bryan/College Station area where she attended school. She and her husband, Mike Trant, moved to Leon County in July 1999. They have four children, Ryan, Travis who recently graduated Texas A&M Kingsville, Tyler, who is attending Tyler Junior College and Tara who attends Centerville ISD. They have enjoyed raising their children in a small town and are happy to call Leon County their home. Melanie has served on church and school committees and captains a Relay for Life team every year for her church. She and her family are founding members of the Cowboy Church of Leon County where she serves as the Church Secretary. Michelle Duvall has over 10 years experience in the title business. 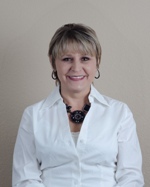 She joined Guaranty Title Company in June 2011 as an Abstractor. Her other duties include keeping our plant indexed and up to date with the county records. 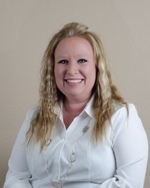 Michelle was born and raised in Conroe, Texas, and moved to Leon County in July 2004 after deciding the country was a better place to raise her children, Abigail and Hunter. They are proud to call this community and Leon County their home.